Here's another image that I painted with Brushes. 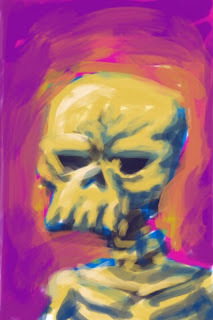 I see there's another sketching/painting app called Sketchbook Mobile... anyone try it yet? I've got Brushes now, and I'm liking it a lot. Very fun and intuitive. I missed the last TAG, but I thought it would be cool to show what I did with a previous TAG sketch. 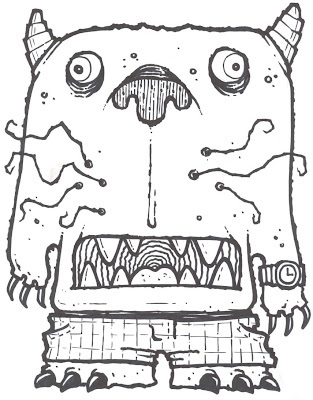 The color and line work were done in Flash as a test for a coloring idea. 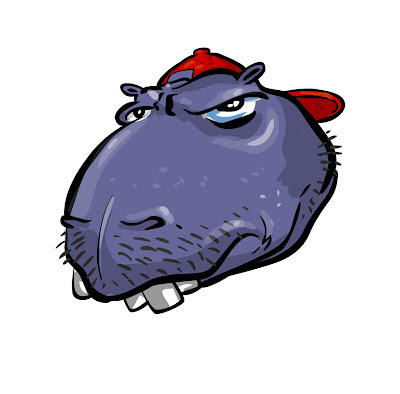 It worked and now I have a Hippo head to animate! Lucky me! My name is Mark Honschke and I am a newbie to the TAG group. I have worked as a sculptor and model-maker for the last ten years and as a consequence my 2D skills have fallen to the wayside. I am inspired by the talent of the group hope to learn from its members to re-learn what I have lost. 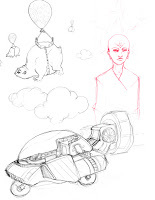 The above images are the civilian amphibious vehicle with flippers and a redesign of a my toy company mascot. Thanks again to Rich and Rick for the invite and see you in Oct. He could breathe through his nose if he really wanted to. But he doesn't want to. 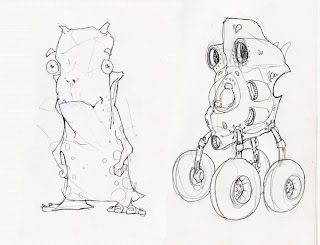 A character and a land-roving, amphibious vehicle. The wheels would pop up in the water and work for floatation.